Before I could even begin to develop this journal, I had to take a deep look at the strongest, smartest enemy in my life...ME. The idea of this journal came at a very trying and unstable point in my life...so did the "concentrated" look at this particular "Enemy." "People ARE Going to Talk!"... That was something that I knew for a fact. Turning the voices, thoughts, opinions, and feelings of others off was something I found very easy to do until I realize that one of these aforementioned "voices" belonged to ME! I am thankful and grateful for the people, experiences and opportunities (both positive and negative) that played a critical role in my success, talents, gifts, abilities, and of course, My Confidence. Most important I am grateful to The Divine for loving me, blessing me, and showing me all kinds of favor. This life-changing empowerment journal and guide by author V. Ivana Foster offers 6 core strategies to develop and enhance confidence in your life and relationships. Designed as a practical, action-oriented program, each chapter challenges you to alter behaviors and beliefs that represent barriers on the path to achieving your goals. The book is filled with affirmations and personal experiences of how Ivana has learned to incorporate the practice of standing taller, speaking bolder and loving stronger in every waking and sleeping moment of her life. With chapters such as "Beliefs of the Smartest Enemy...YOU!" and "Thoughts and Beliefs of Others" you will meet, confront and re-program your thoughts and beliefs, moving aggressively towards your deserved abundance and success. 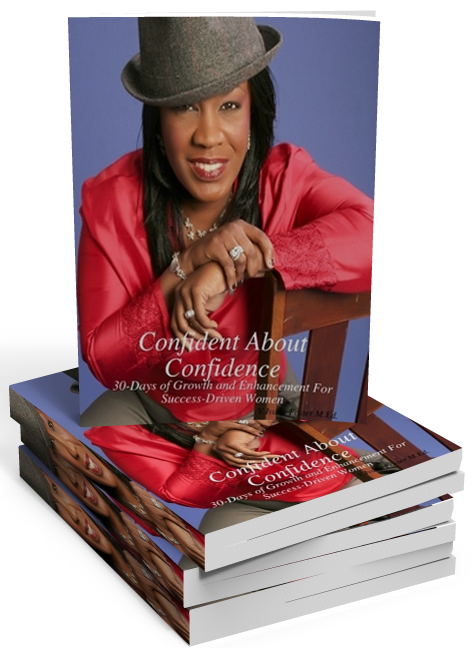 Confident About Confidence: 30 Days of Growth and Enhancement for Success-Driven Women is an easy to follow, engaging journal and confidence building guide that provide detailed step by step instructions needed to aggressively increase your confidence to dramatically leverage your life!